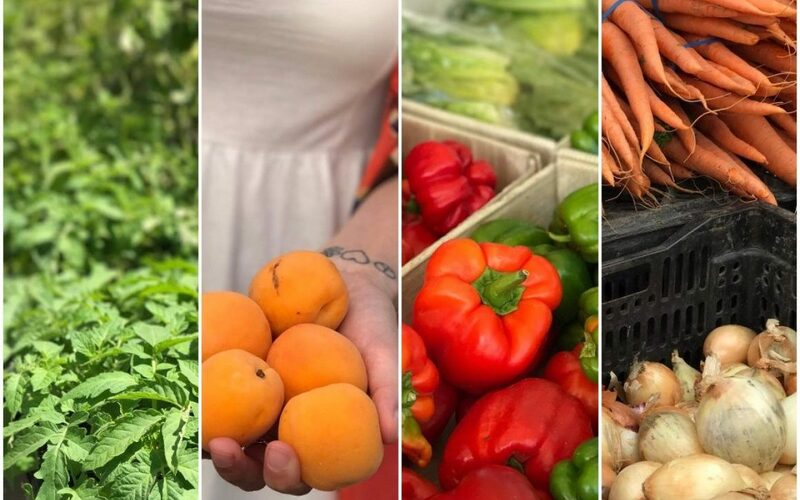 So, my first step on the Veg Voyage is to only eat meat at home (or when I know where it is from) to ensure it is organic, grass fed, and preferably locally sourced. Admittedly, I have been a little shaky on the exact guidelines here (I ate meat that wasn’t organic but was locally sourced on a vacation to Tahoe and threw all caution with the wind with my hot chicken in Nashville) but I figure it’s a process. More often than not, I’ve eliminated meat when dining out. But what about at home? Before I started this I wondered if I would go absolutely meat crazy at home because I couldn’t really eat it anywhere else. So far, that hasn’t been the case at all! I still do buy meat but typically we only have a ‘meat dinner’ once or twice during the week. Below I’ve shared 2 incredibly delicious veggie meals I’ve made this week. **Disclaimer: My SO hates this but I rarely actually use a recipe to make anything. Instead, I look through a couple different recipes for what I have in mind and alter them here and there to my liking. (Most of the time this works for me but there have definitely been those occasionally meals where trying to use healthier alternatives didn’t work out in my favor…) One of my FAVORITE blogs to read and get ideas for recipes is The Diva Dish – bonus, most of Ari’s recipes are already Veg friendly! I’ve had these green lentils in my cabinet for months so it was nice to finally use the rest of them up in this recipe! I chopped 1/2 an onion, a full red bell pepper, and 3 cloves on garlic, sauteed them in some olive oil and then blended them almost into a paste. I let this simmer for about 30 minutes and added a chopped up zucchini for the last 15. 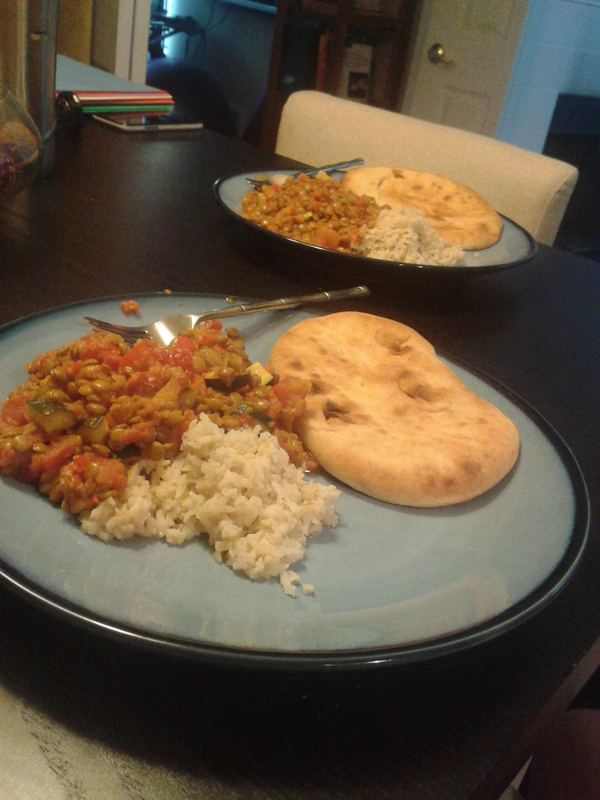 Then I served about a bit of brown rice and a side of naan. So good and pretty easy! This soup was so easy with only 6 ingredients! I roughly sliced 1/2 yellow onion and 3 c. of mushrooms, sauteed them in a bit of butter and then blended them until smooth. I added the mushroom puree to 3 c. veggie broth mixed with about 5 Tsp of whole wheat flour and brought to a boil and then added 1 c. of half and half, let it simmer for 15 minutes and viola! Lunch for the rest of the week! Both of these recipes are vegetarian, hearty and satisfying. I hope you enjoy them!